It’s no question that video optimization or (VSEO) is the future of online marketing, and the numbers have been released to justify that thought process. 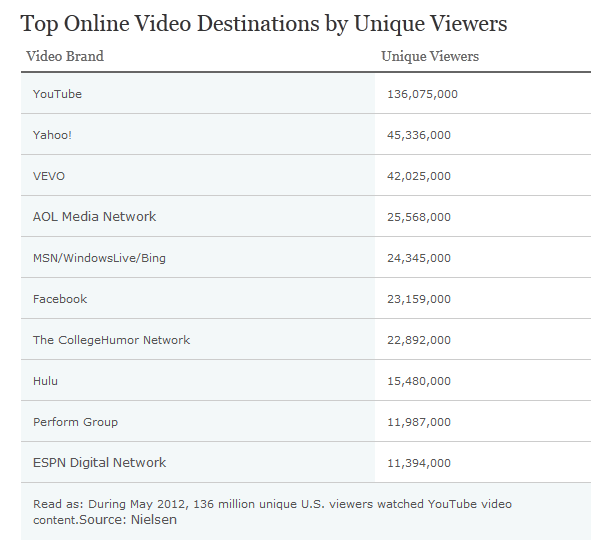 Nielsen has released the Top U.S Online video sites. 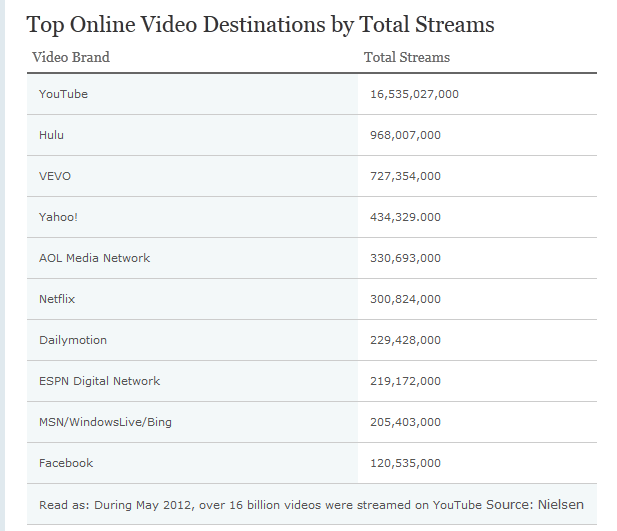 During May 2012, there were over 163 million unique video viewers in the United States. They streamed over 26 billion videos and spent an average of 5.8 hours watching these videos. Of course YouTube was the top online video website, with 136 million unique viewers. Coming in strong at number 2 was Hulu, with just under a billion streams, and had just 9.5% of the unique viewers. 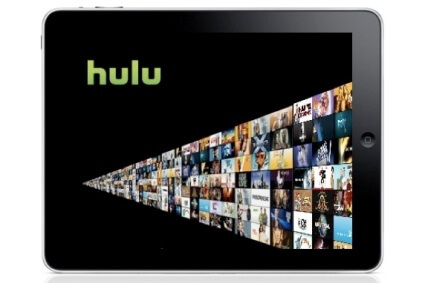 Hulu users average 62.5 streams each in May 2012 while YouTube viewers cleared about 121.5 streams each. With video optimization and VSEO becoming more popular, we do we have an analytical tracking system in place that can properly track the ROI? worth more than a view? How are videos actually tailed? Was the movie watched from start to finish? These are all variables that need to become standardized moving forward. 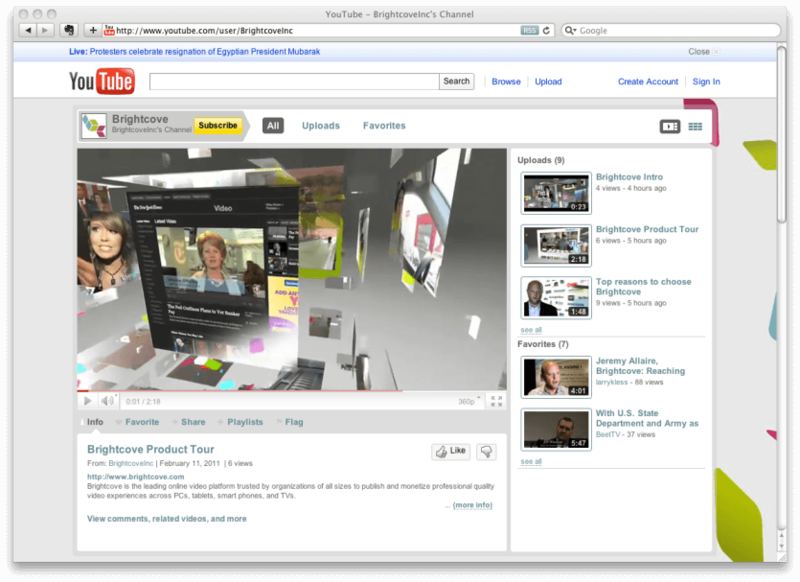 A view is not a miss click where someone watches it for 2 seconds when the video is actually 5 min. As Real SEO argues, a click on a video, should count as a play, but not a view. We should also devalue videos that use auto play, because those force users to watch the video. The stats are in and video is up. To stay ahead of the curve we always suggest you put together some sort of video optimization strategy. At Noxster we are working hard at creating a standardized tracking system for the videos we create for our clients. We have one of the most creative Video Optimization Services within the Los Angeles area. Our team of has over 30 years of experience shooting, editing, creating scripts and telling companies stories. Call today 888-507-4944 to take a look at some of our work.